Replacement Board Game Pieces can be hard to find. Whether you’re a collector looking to complete vintage board games, have a modern set that’s missing board game parts, or need new Monopoly money, this page will help! No matter which board game tokens, monopoly game pieces, board game parts, tokens, cards, expansions (official and unofficial) and other specialist items you need, The Beast is on the case! We’re scouring the best online resources to bring you the most useful links to find those elusive vintage game parts and cards. Often, you can find game parts on Amazon , but the best resource by far is eBay. There is no better place to find people who break old board games for their parts. Just like real currency, Monopoly play money wears out. You’ll have a heck of a time finding the actual cash that is custom to each version of the Monopoly games empire, but eBay is your best chance. Cards, weapons… the CLUE board game has a lot of fiddly little extras, that will inevitably get lost over the years. While most games can be played if you lose a piece or two, Scrabble games are really not the same without the full complement of 100 tiles. That’s why you may need replacement Scrabble tiles. One of the most highly-regarded war strategy games, Axis and Allies is one of those games which has lots of fiddly parts. Replacement Axis and Allies pieces are therefore highly sought-after. Nothing is easier to lose than a Risk token, so replacement Risk pieces are well worth tracking down. If your Disney games are missing a Mickey or need to get a Goofy, then looking for Disney game parts will be rewarded. If your edition of Trivial Pursuit is incomplete, it’s as easy as “pie”. Check out this link to spare Trivial Pursuit parts. Every little girl seems to love Mall Madness, but if there’s something missing, you’d better get your magic plastic out and find the replacement Mall Madness parts. We’ve saved the biggest for last. It seems possible to buy replacement Monopoly parts for almost any edition, from Scooby Doo Monopoly to Spongebob Monopoly. 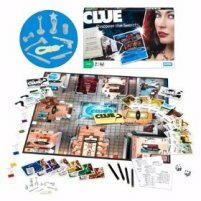 Found a great board game parts resource that’s not listed here? Please send us reviews. Alternatively, you can rate or comment on any of the items above using the Comments link at the end of each review. 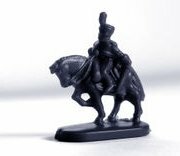 If you need Replacement Game Pieces and Parts, this is the place to come. Share reviews if you find a great resource out there! Be sure to share modern replacement items and upgrades, like coins, Meeples and special expansion card packs. INCLUDE THE URL OF THE ITEM, OR WE WON'T BE ABLE TO LIST IT HERE. What board game pieces are you reviewing? Please note, if the game part is vintage, your photo might be the only one we can find, so do your best to send a pic! 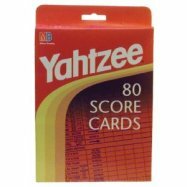 Reviews of replacement game pieces and parts by other readers like you! Game of Life Game Pieces? 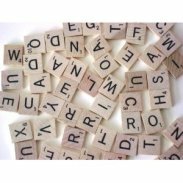 Why would anybody need replacement Scrabble tiles? Can't people look after their board games? A novel about Blood Bowl?! Yes, indeed. There have been Warhammer and 40K novelizations, so why not Blood Bowl? 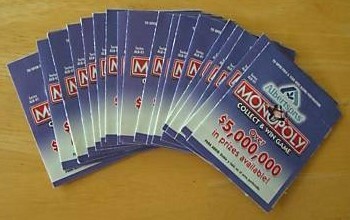 Want to buy Monopoly play money? You're really limited to one of two sources: eBay or Amazon. 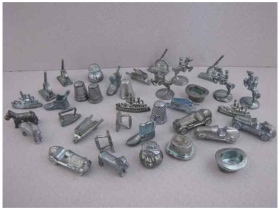 Monopoly playing pieces have a habit of getting themselves lost.